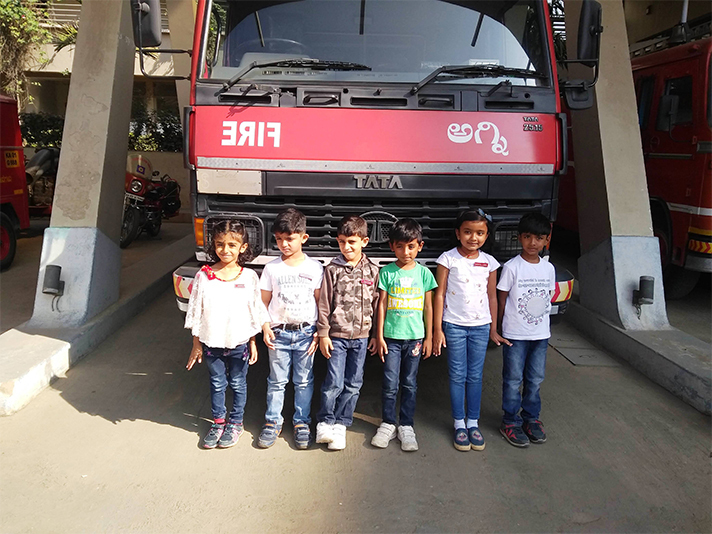 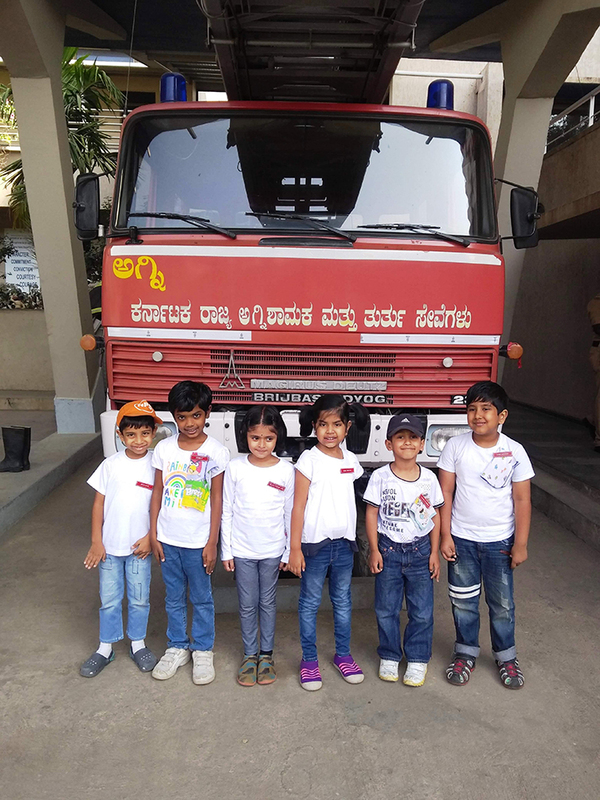 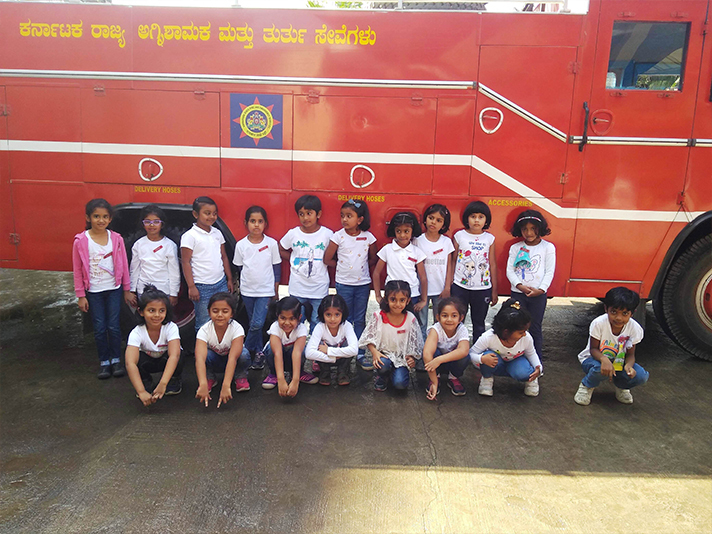 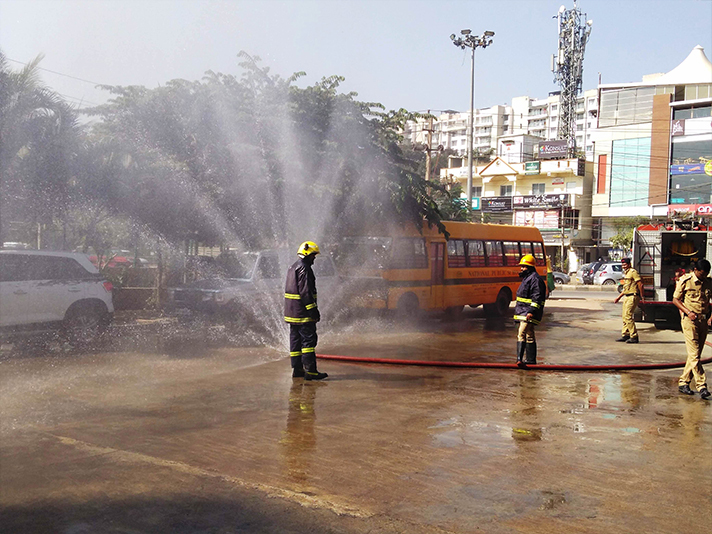 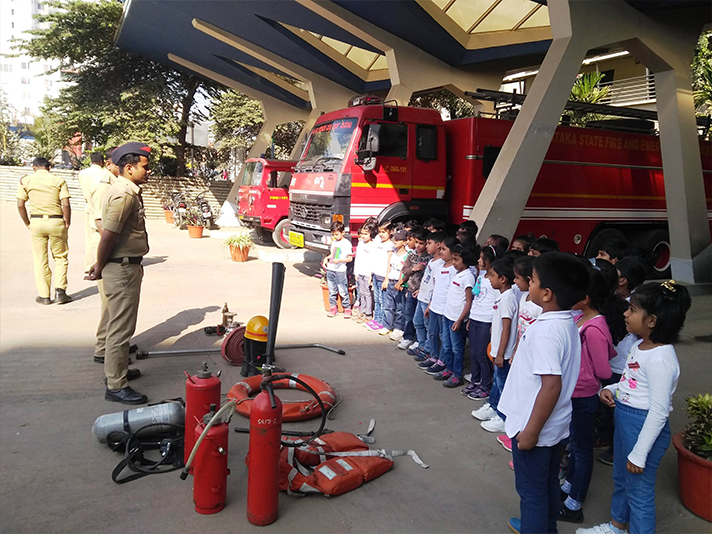 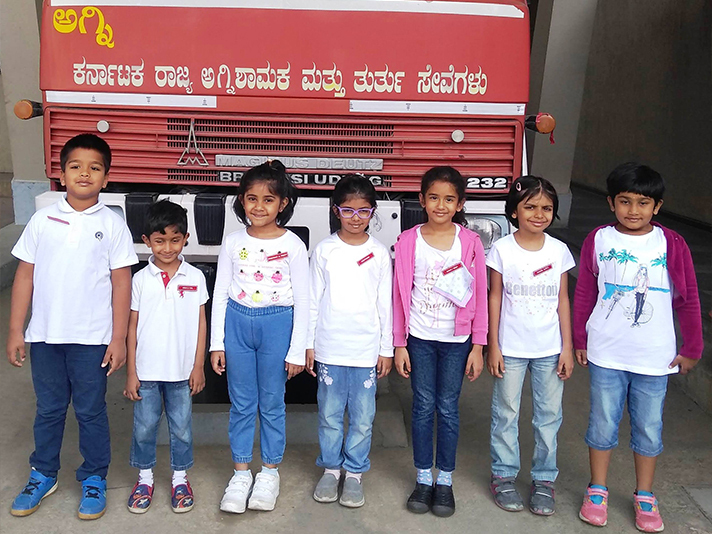 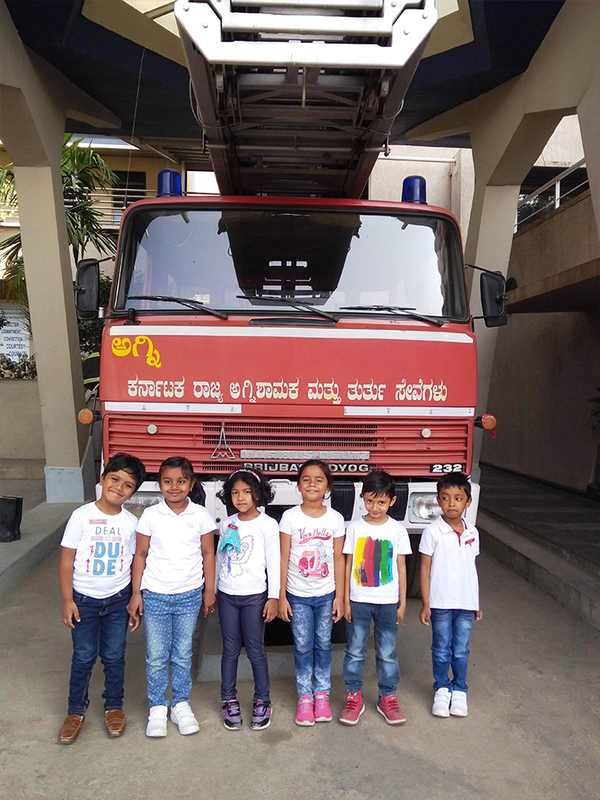 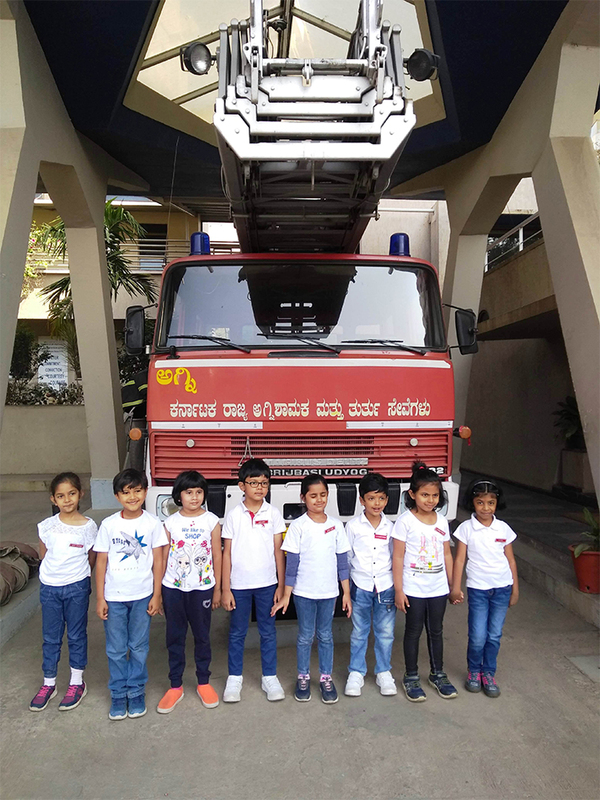 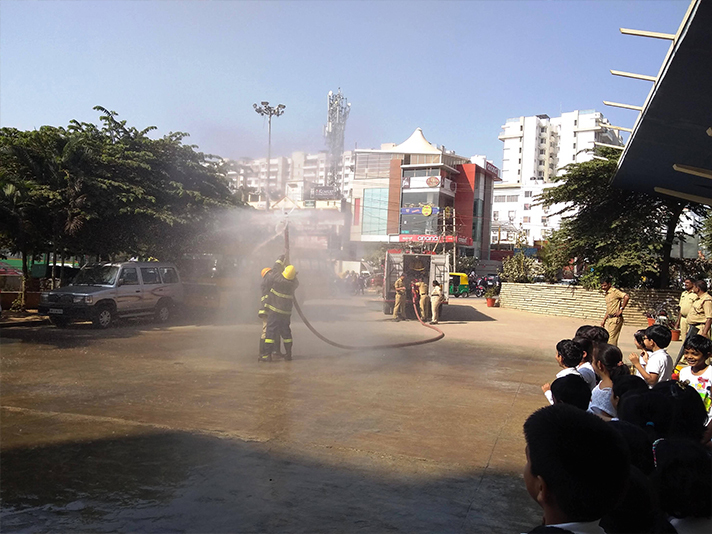 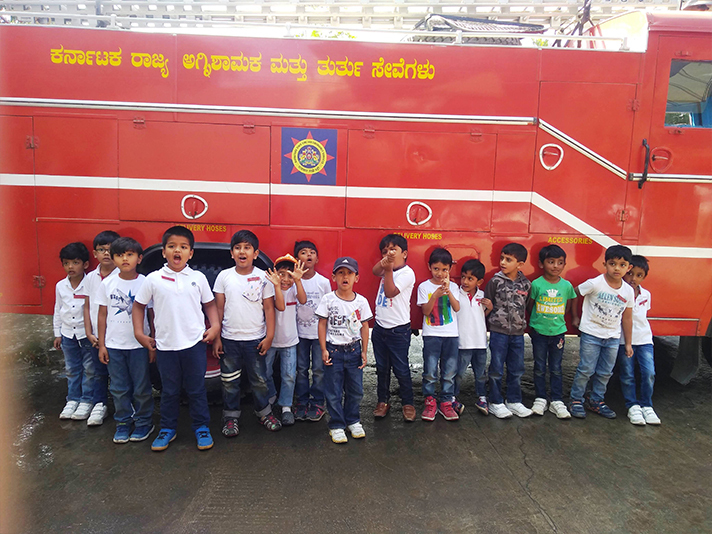 Students of Montessori got an opportunity to visit a Fire Station on 18 December, 2018. 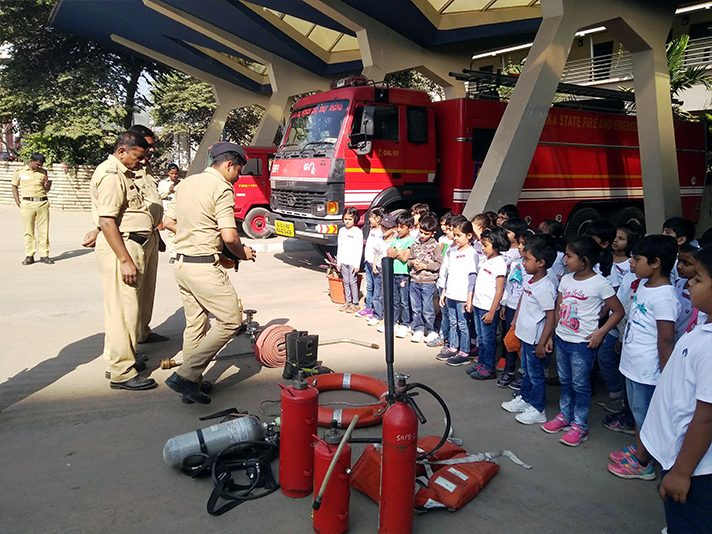 They were shown around the fire station building, the fire engines, the various tools and hoses that the fire fighters use. 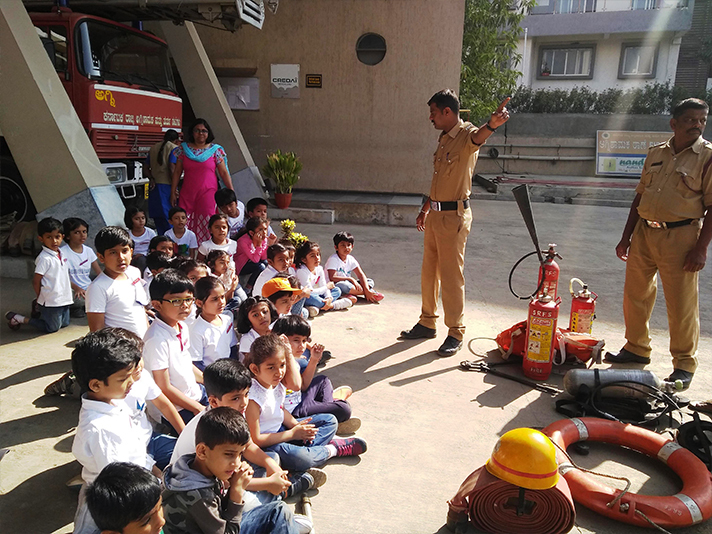 They learnt about fire safety and the role of a ‘Fire Fighter’. 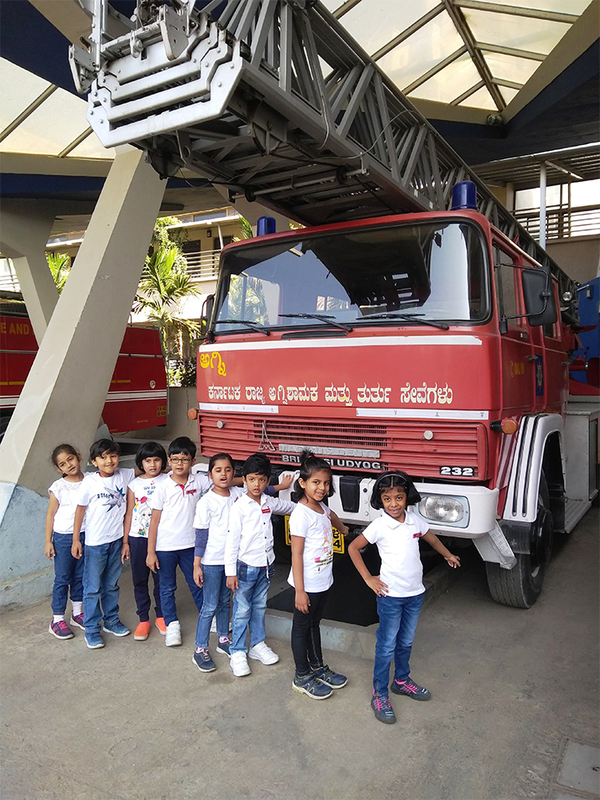 Children got a demonstration of the fire truck - how it works, the use of the extendable ladder and how a fire fighter climbs on it to rescue people from high-rise buildings. 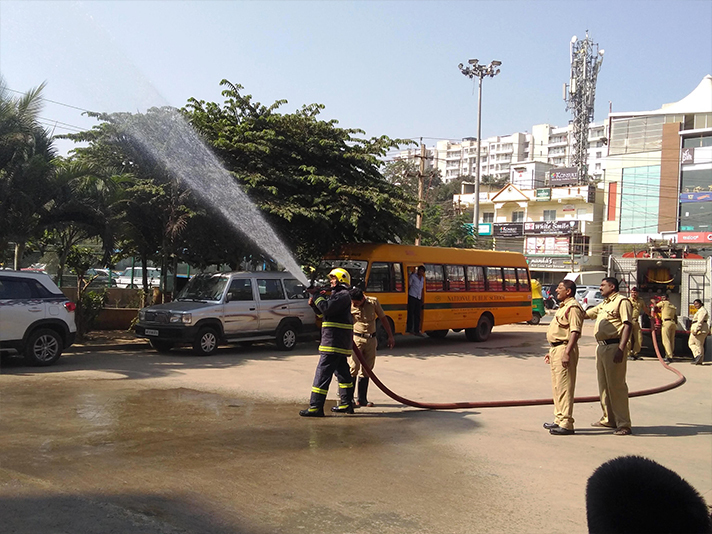 They also learnt how the fire truck bell is used to make way for the water tanker to rush to the spot of fire. 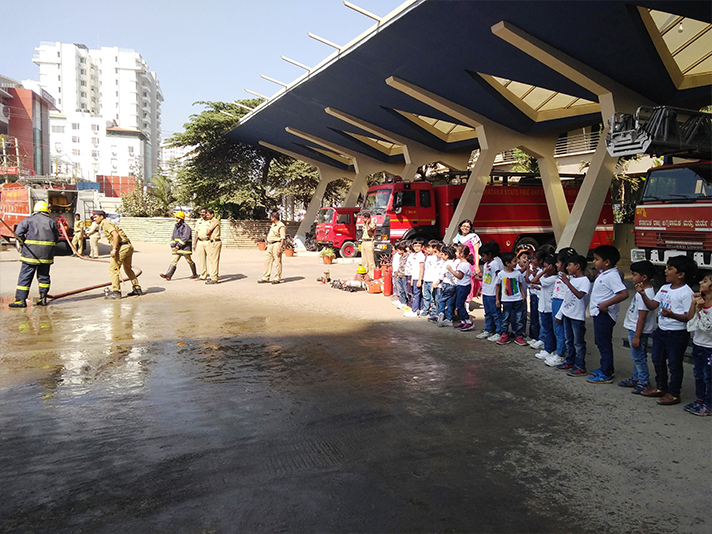 The fire fighters were surprised when the children told they knew the emergency number to call fire force. 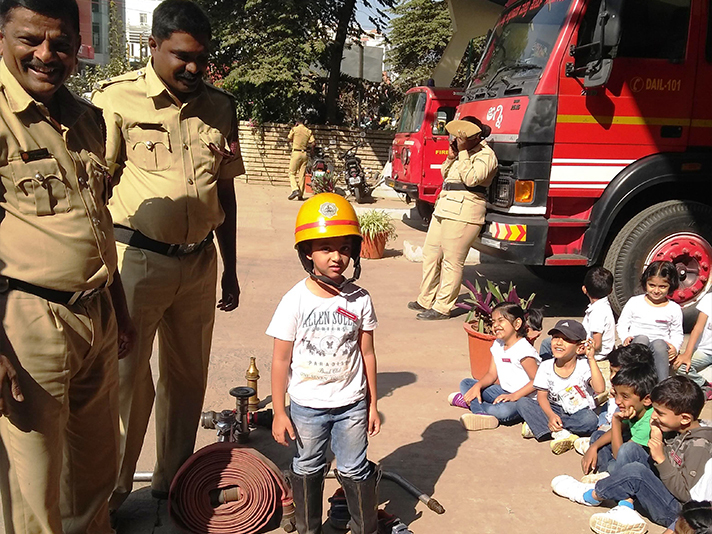 It was a truly rewarding experience for the children.